I did a Quick Review of this a couple of weeks ago which basically said that I loved this but it didn't quite cover my terrible (left eye) dark circle. Up to that point I had never had a spot to try it on so I couldn't comment on that. Well last week I had what promised to be one of the biggest blemishes I'd ever had and numerous social engagements to attend.Yes I am very lucky not to get spots very often but when I do they are guaranteed to be somewhere prominent and this one was in the middle of my eyebrows. What to do? Use The Retoucher of course, and oh my god did it work. The problem with concealers is that you want pinkish tones to cover dark circles and yellower tones to cancel out redness and spots. As dark circles are my problem I tend to migrate to the pinker ones (a rarity) and The Retoucher isn't very pink at all. I also am not a fan of the pen concealers, they usually highlight very well but for the aforementioned dark circles I need something more full-on. 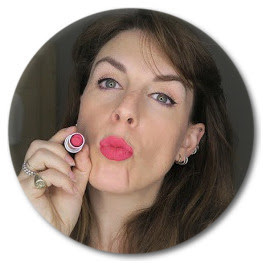 But when it comes to redness The Retoucher is unbeatable. It made the spot invisible. Properly invisible. It's beautiful fluid finish meant there was no cakeyness and the spot just looked like the rest of my skin. All that is very well but after using this for a week the spot never really happened. It just disappeared. I could be lucky but I put it down to what's actually in this concealer. Charlotte calls this the 'CT' stick, 'Conceal and Treat' and that's just what it does. Not only will it cover your blemish but the vitamins and black tea derivative in it help the skin clear the imperfection, plump fine lines and moisturise the skin rather than drying it out like a lot of concealers. Yes it's not cheap but it's really worth it and you don't need to use very much at all. If you need a good trustworthy concealer for your blemishes, redness and under your eyes (as long as they are not too dark) then this is definitely the one to go for. Also needless to say the packaging is gorgeous. This is definitely the best of the shop-bought brush cleansers I've tried so far. It doesn't get your brushes as spanking clean-looking as I'd like but it doesn't damage them and doesn't smell grim. I have used a lot of serums in my time, some great, some that make no difference whatsoever but none that have made such a noticeable difference to my skin and in fact my morning routine. What I want from a serum is collagen boosting/mild-anti-ageing, vitamins and moisture. I have dry skin and I'm 31 so although I don't want anything harsh on my skin it does need a bit of help. 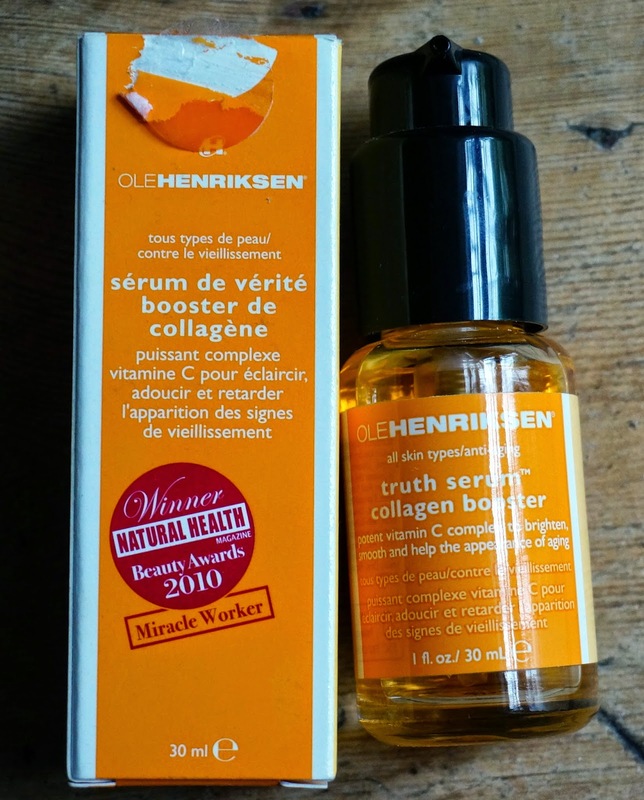 The only serum that's really made a difference up until now it Liz Earle's Superskin Concentrate which is good but has been over-taken in my affection by the Truth Serum Collagen Booster from Ole Henriksen. I can't believe I haven't done this before as it's a real wonder-product. Available from John Lewis, Space NK and Liberty's to name but a few in the UK, and Hourglass Cosmetics and Sephora in the US. I really like this foundation... I think you'll see that from this video!